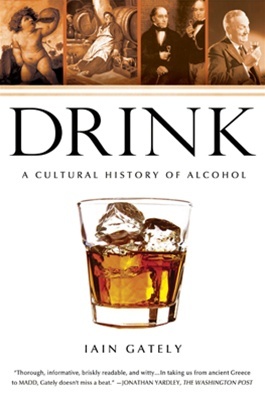 "Drink: A Cultural History of Alcohol"
Alcohol is a fundamental part of Western culture. We have been drinking as long as we have been human, and for better or worse, alcohol has shaped our civilization. Drink investigates the history of this Jekyll and Hyde of fluids, tracing mankind's love/hate relationship with alcohol from ancient Egypt to the present day. Drink further documents the contribution of alcohol to the birth and growth of the United States, taking in the War of Independence, the Pennsylvania Whiskey revolt, the slave trade, and the failed experiment of national Prohibition. Finally, it provides a history of the world's most famous drinks-and the world's most famous drinkers. Packed with trivia and colorful characters, Drink amounts to an intoxicating history of the world.